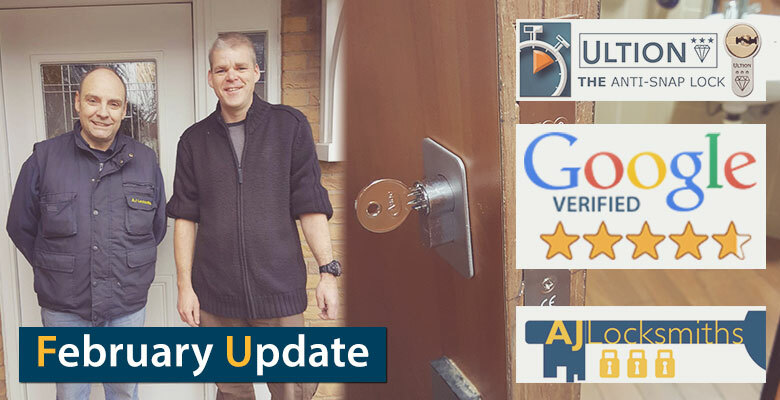 Update for February: Door Replacements, Lock News & More! BlogHome » News and Blog » February Update: Door Replacements, Lock Changes, and Call Outs Galore! January ws a busy month for us here at AJ Locksmiths Leicester, and we expect February to be similar! We would like to say thank you for our many positive reviews in January from satisfied customers, we are always going out of our way to provide a great locksmith service for you, and we appreciate your feedback, it helps us to improve. 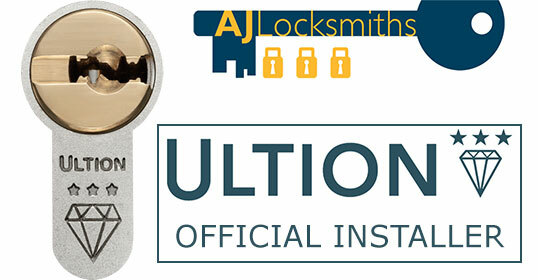 We are now officially qualified Ultion anti-snap lock installers, which can drastically improve the security of your home, by preventing the common trend of snapping the lock to enter through your front door. This is a big problem in some areas of the country. So it’s definitely a measure I would recommend to help secure your home and family. Click here to see more about the Ultion lock, or watch the video below. If you would like to leave us a review. Please use the following links, and click the “write a review” link. We really appreciate your feedback. We currently serve the entire Leicestershire area, including Oadby, Oakham, Hinckley, Lutterworth, Whetstone, Thurlaston, Huncote, Sapcote, Stoney Stanton, Loughborough, and more! If you have any questions or comments, please feel free to email us at help@ajlocksmithsleicester.co.uk, or call our free hotline on 07729 554 332.